Task: to reduce the number of steps in the ticket booking process from six to four. Result: The changes introduced to the third step resulted in increasing the number of users continuing to the next page by 20%. Now 35% more customers purchase insurance together with the ticket—that’s more than the market average. 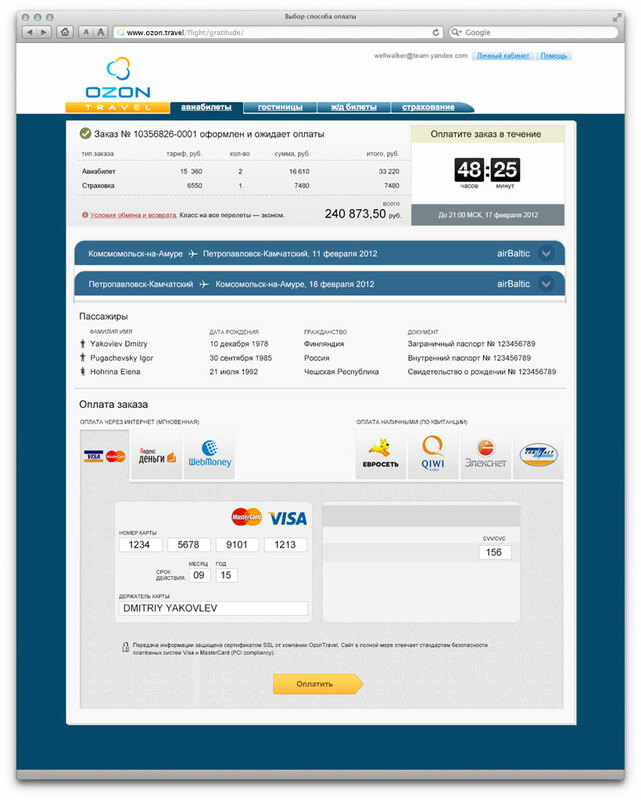 Up to this point, the ticket booking process on the Ozon.Travel website consisted of six steps, two of which were left from the previous version of the system architecture. Because of the extra step, users sometimes didn’t finish the booking process. 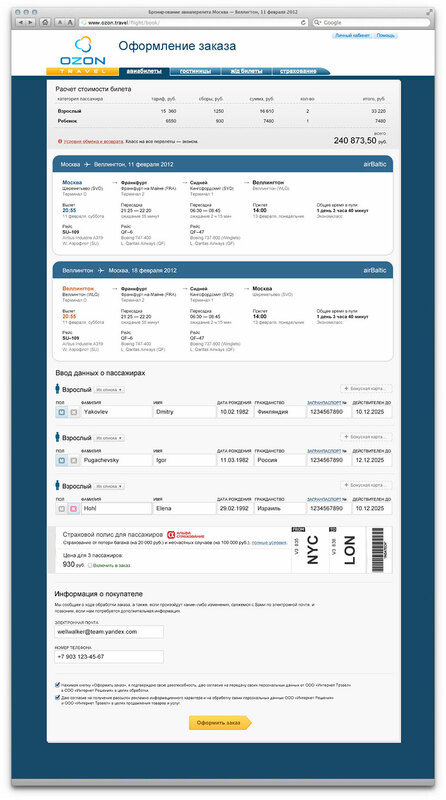 The studio developed a new interface and redesigned the booking process reducing the number of steps from six to four and eliminating the unfinished bookings problem. An insurance box was added. By default the box is not checked—the client is left to decide whether he needs insurance or not. Only after the box is checked, the cost of insurance is included in the price.